Android Oreo hasn’t even landed on one percent of Android Phones yet, but Google is already looking ahead to the next big update for the world’s most popular mobile OS. And if a report from Bloomberg is true, Android P could make it easier for phone makers to design devices with unusual displays. Bloomberg says “a key goal of this year’s update to the Google mobile operating system is to persuade more iPhone users to switch to Android devices by improving the look of the software,” and along with traditional performance improvements and increased energy efficiency, Android P is making to an effort to improve support for phones with notched displays like the one found on the iPhone X. On top of that, it seems Android P will also include new software to support devices with folding displays or multiple screens. That said, it’s important to remember that the Essential PH-1 sported a notched display before the iPhone X was even announced. It’s more likely that Google is trying to make it easier for its OS to handle devices with a wide variety of displays, rather than simply latching on to the iPhone X’s momentum. As the main party responsible for curating it OS, Google would be crazy not to adopt support for new tech that major companies such as Samsung, LG, and others rely on. But that also doesn’t mean Google is explicitly promoting notched screens, either. Aside from the Essential Phone, the only other Android devices featuring notched displays today are a handful of iPhone X clones from China. However, that could soon change as rumors suggest Huawei’s next flagship could take a page from Apple’s playbook by putting a notched screen on the P11. But if everyone jumps on the notch bandwagon, the novelty of the feature will disappear. The Essential PH-1 and iPhone X were striking when they launched, but the notch was only one element of two phones that both share an emphasis on clean, minimalist lines. 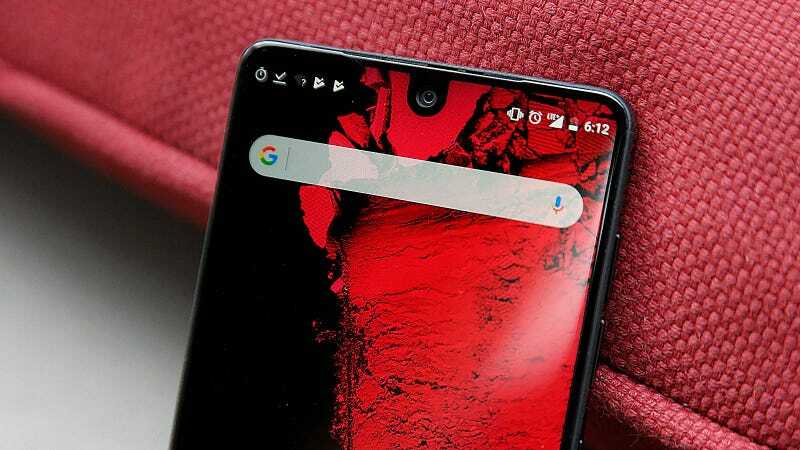 Additionally, all the talk about notches takes away from the point of the notch in the first place, which is to give users more screen real estate while slimming down bezels. If gadget makers start putting non-functional notches on phones as a pure style move, we’ve all lost. New versions of Android are typically unveiled at Google I/O in the spring, before getting a full release in early fall. In addition to the support for a wider range of display tech, Bloomberg says Android P should also include deeper integration between the OS and the Google Assistant, and a potential overhaul of Android’s user interface.